Quite shamefully, I only saw Die Hard for the first time two years ago, in December and in a packed movie theatre. It was only then that I could fully appreciate the classic argument that rages about the film. No, not whether Hans Gruber is actually a bit tasty (RIP Alan Rickman), but whether Die Hard is a Christmas film or not. The argument is really just an example of how the seasons and religious holidays interact with both films and computer games. If we happen to play something during our Christmas break, or it happens to be on in the background while we're opening our presents, then of course we begin to associate it with Santa and his reindeer. In my case, there are quite a few games that I will always look at as Christmas games, whether it's due to their atmosphere, certain levels or simply when I first played them. So, cut yourself a slice of stollen and pour a glass of mulled wine, and let's get festive. To find out about the (largely not very good) Die Hard games for various systems, I'd recommend watching this video and this video. I'm not fortunate enough to have lived in any place where there is powdered snow on the ground throughout the whole of December. My hometown occasionally gets a bit of snow in January, but I've seen perhaps...one white Christmas there? Where I currently live, it just rains all the time, and when I lived in the south of Germany, the snow was sludgy and my bones hurt because of how cold it was. 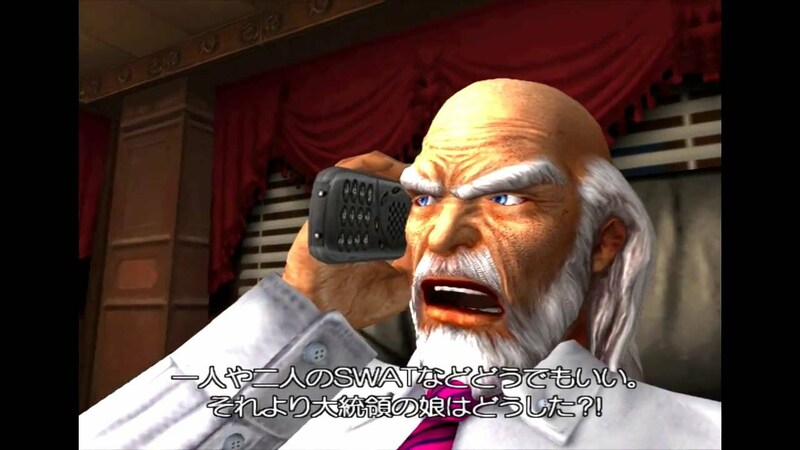 Anyway, time for less typical British talk about the weather and more talk about games. A game that revolves around snow typifies Christmas for me, and SSX 3 is precisely that game. 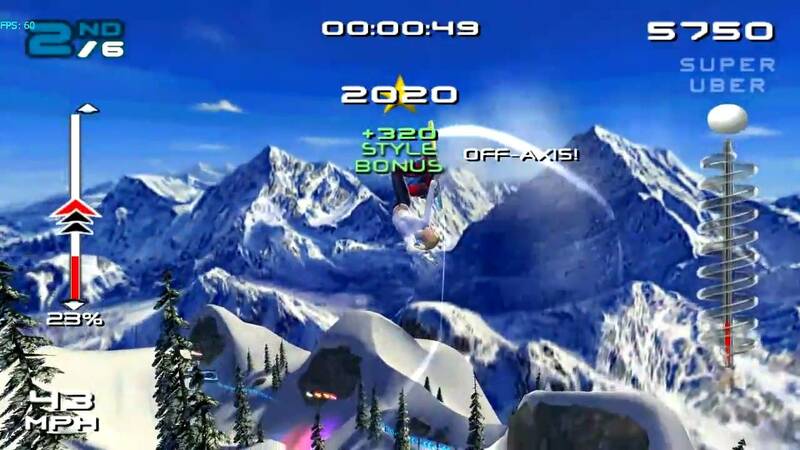 SSX 3 and its predecessor, SSX Tricky, weren't just games that allowed me to enjoy frosty surrounds with the radiator cranked up and a mug of tea; they are special to me because they were the first games I was genuinely any good at. 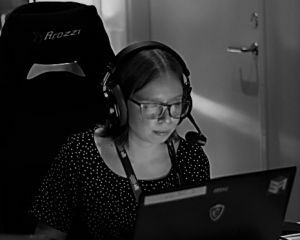 As a child – and this is something that STILL comes back to haunt me – I didn't own a wide variety of games, and played overwhelmingly during the school holidays. This meant that I was quite weak compared to my cohort, who would play a range of classics for hours after school and every weekend. So I carried this millstone around my neck of being "terrible at games". But I did play the SSX games for hours in a row during these holidays, if trophies had been a thing back in 2003, I definitely would have got Platinum in both of them. But why is SSX 3 on this list instead of Tricky? Well, I think I played Tricky a lot during the summer holidays, so it got that tag attached to it instead. I also remember a level that involved snowboarding through arid canyons in Tricky, so it felt less tied to winter. It might have even been because SSX 3 felt more sedate and peaceful, as Christmas should be, while Moby Jones had definitely downed one too many Red Bulls in Tricky. As a child, Christmas time was always Pokémon time. Until I got Pokémon Yellow and Pokémon Pinball for Christmas 2000, I was the insufferable kid on the playground who would beg to borrow other people's handhelds. While those two games should, by rights, be Christmas games in my head, I actually played them to death the following summer instead. As a result, they will always remind me of a carefree summer holiday full of Mini Milk ice lollies, potato smiley faces and re-runs of the worst docu-soap ever made, Airline. 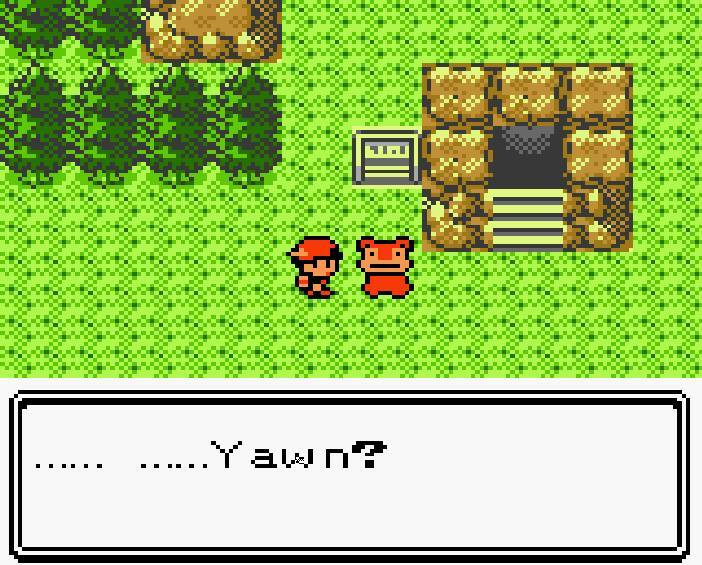 But its older brother, Pokémon Crystal, strongly reminds me of the jolly fat man. I think by then I knew just how great playing through the whole of a Pokémon game would be, so I was hyped about getting it and spent a lot of chestnut-roasting time tied to my Game Boy. For reference, my Game Boy Color was always plugged into the wall at home so I wouldn't bankrupt my mother burning through millions of AA batteries (she got wise to rechargeable batteries by the time both me and my sister got Nintendo Wii). Of course, I soon realised Crystal was pretty much the same game as Pokémon Silver, which I'd already gotten for a previous Christmas, but hey, I was a dumb nine-year-old, and hey, it wasn't my hard-earned salary I was squandering. I was the WORST child. This is a fairly recent Christmas association for me, in part because I spent all of last Christmas – aside from the 25th, of course – playing it from start to finish. The PS TV is the perfect "portable home console", if such a thing can even be said to exist, so in a genius/idiot move, I brought it back to England with me. And I quickly resumed being The Worst Child Ever™ by telling my sister "No, you can't 'have a go' while I'm in the middle of the Kusumi-no-Okami boss battle, please go back to Mario and Sonic at the Winter Olympic Games". It's also very Christmassy to me because I had already played the original Persona 4 release, so my goal was to experience everything new to the Vita version. 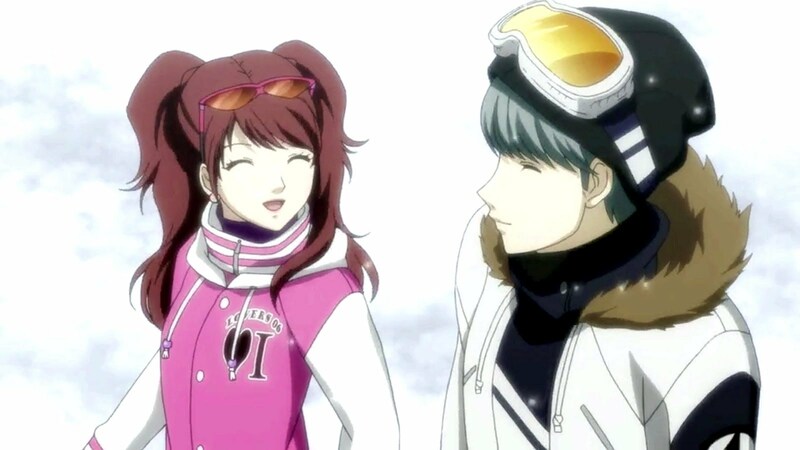 This meant going on the ski-trip, as well as going for the True ending. Of course, all modern Persona games have integrated seasons, so there is always a Christmas section, but going away with the lads to faff about on wooden planks felt like a genuine Yuletide celebration. Admittedly, a Yuletide celebration with fighting and bloodshed (and GOOD GRIEF I hated going through that dungeon with limited SP – by far my least favourite in any of the games that I've played so far), but a cosy celebration nonetheless. OK, so by this point, your blood is probably boiling from the amount of CLEARLY non-Christmas games that I have haphazardly associated with the holidays. So, how about I recommend something that is genuinely tied to Xmas? NiGHTS Into Dreams is the perfect game to play once the advent calendars and elves on shelves come out, even if you don't buy the Christmas-themed sampler disc. I had the pleasure of playing it on the Saturn at an exhibition a few months ago, and all the acrobatic, fast-paced gameplay is a great distraction from figuring out what to put under the tree for Great Aunt Flo (another set of knitting needles, perhaps?). What's more, you don't have to splash out on an unloved-thus-now-quite-rare-and-expensive console from yesteryear to experience the game: it's available on Steam, including the Christmas Nights additional material, for less than the cost of a giant Toblerone. As we've seen, what counts as "festive" is very subjective and often has a lot to do with childhood memories. I have a lot of fond recollections of Decembers growing up, and a lot of this is all thanks to video games. This Christmas, I'll be following in the footsteps of Die Hard somewhat by finishing Metal Gear Solid 2 HD – because, really, getting the hostages out of Big Shell feels like John McClane freeing his wife from Nakatomi Plaza. That, and because "Christmas spirit" is absolutely what you make of it. 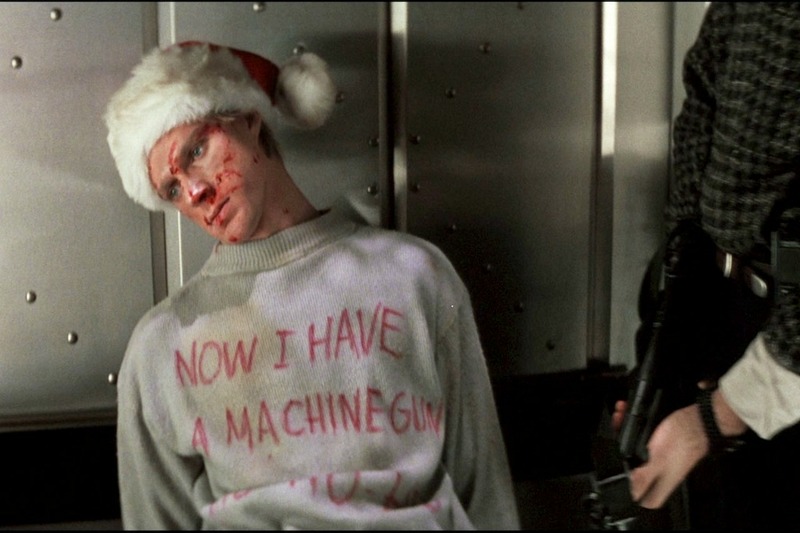 Oh, and Die Hard is DEFINITELY a Christmas film. Which games do you associate with Christmas? Are there any games that you play every December? Let me know in the comments down below!